Product information "Ultralite 500 UEC500 Glazing Bar End Caps (5 Pack)"
Use on Ultraframe's Ultralite® 500 roof system! 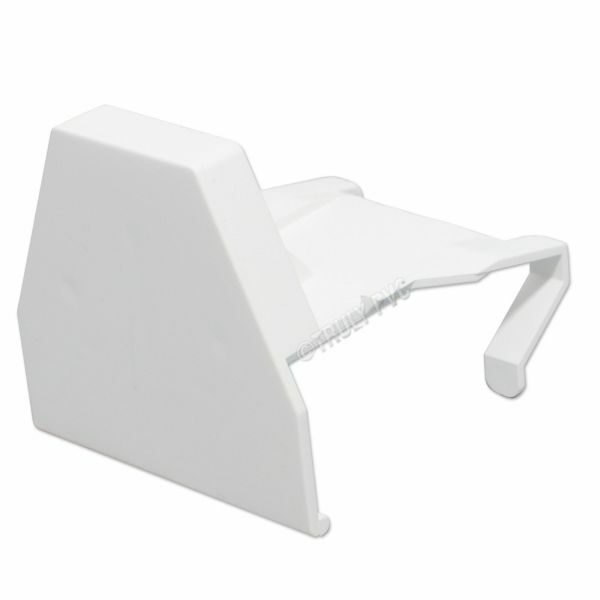 These high quality roof glazing bar end caps are designed as replacements for the Ultraframe's - Ultralite® 500 UEC500 End caps. These are great replacement end caps, with a simple elegant finish. These are a snap fix design, so they are easy onto fit with no screws needed. They are designed to fit to the end of the roof's glazing bars. They were used to stop sheet slippage, but recently glass stops have been fitted to combat this problem. They seal the glazing bar chambers and provide a neat finish to the conservatory roof glazing bars (or roof spars). These glazing bar end caps are manufacturered by Ultraframe and designed specifically for their Ultralite 500 conservatory roof system. 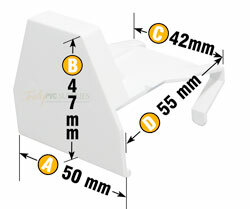 Check the following dimensions to be certain that you are ordering the correct part for your conservatory. Related links to "Ultralite 500 UEC500 Glazing Bar End Caps (5 Pack)"
Customer review for "Ultralite 500 UEC500 Glazing Bar End Caps (5 Pack)"